We know our car tires need to be aligned every so often. It becomes very clear the further the tires become out of alignment – the car veers to one side or the other. It is much more difficult to know if your body structure is off. 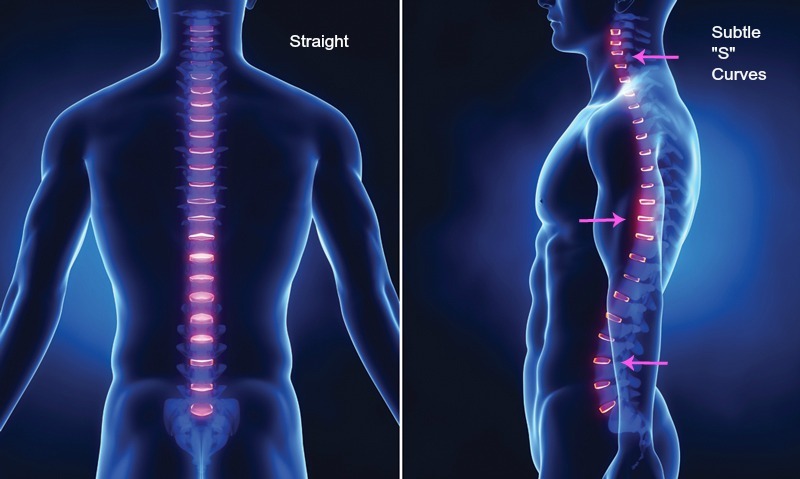 In almost 15 years of being a chiropractor in Newmarket and seeing thousands of patients, I have found that only a small percentage of people can recognize when they are “out” or misaligned. Without an obvious sign or symptom like pain, body dysfunction, or a pair of shoes that wear unevenly on one side more than the other, knowing you are out of alignment is very difficult if you are only going by how you feel. In fact, most people who are out of alignment, may not have any obvious symptoms at first. Eventually you will. Joints in your back, neck, and hips are some of the common areas to be damaged by poor alignment. How do you become misaligned? Daily LIFE…think about what you do on a day-to-day basis? It should not be shocking to think your spine (and nerves) take a beating everyday, 365 days a year – sleeping position, how long did you sit today, anyone stressing you out, did you exercise or move enough today, and even the fact that gravity is always at work on our joints…the list goes on and on…the micro-traumas we endure everyday is the main reason that it is hard to stay in balance and alignment. Unless you have an awesome chiropractor of course. So, what if I am out of alignment? Let’s keep this simple. If you are out of alignment, there will be uneven pressure on your joints. This will cause premature degeneration. If this happens to be in your spine, the degeneration will put pressure on your nerves. Your nerves control everything in your body. Freedom and independence rely on healthy joints and nerves. How can I tell if I am out of alignment if I cannot feel it? Find a good chiropractor. Insist there is testing done regularly, including x-rays. It’s amazing what those pictures can tell us – congenital fusions, scoliosis, arthritis, bone spurs, and even old fractures to name a few. You want to know if you have any of these.